How Do I Help My Children Deal With The Pain Of My Missouri Divorce? For lawyers and judges, divorce is a legal process that results in a legal outcome. And, lawyers and judges play vital rolls in that process. 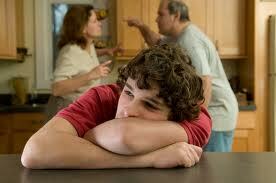 But for parents, there is a more significant reality that they must prepare for when presented with divorce. That reality is that divorce is hard on their children. As parents it is critical that you are vigilant about what your children may be dealing with and are aware of what assistance may be available to help you in helping them. The trauma that can be the result of dissolving of a marriage can show itself in many forms on our children including uncertainty, anxiety, depression, and other adjustment problems. Parents, who are likely dealing with their own struggles in the divorce process, often need help in recognizing the negative issues of their children. At a minimum divorce represents a significant change in the living arrangements of your children, and with that change will come a process of adjustments. 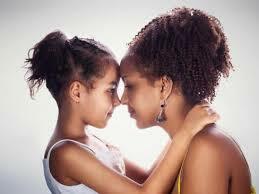 Depending on the age of your children you may see significant differences in their responses. For younger children there may be a tendency to a more heightened need for dependence on one or both parents. For adolescence, there may be a tendency to accelerate their independent behavior. But, every child is different and generalizing what your child is dealing with may cause you to miss the real problem. Unfortunately, it is often more than just a change in the living arrangements that face children in these circumstances. It is critical that parents recognize how their own conduct can contribute to the struggles of their children. For example, developing strategies to mitigate your children’s exposure to the conflict between you and your ex-spouse is vital to a child’s healthy adjustment to life during and after divorce. The good news is that there are resources available to help to educate you on what is your child’s reality and to assist you in helping to minimize the potential long term impact that divorce can have on them. In the Missouri court system, parents going through divorce or a custody modification are often required to attend a parent education course covering the effects of parental conflict, over exposing children to the divorce process, adjustment to a physical custody schedule and divorce in general on children. This is the case in both St. Louis County and St. Charles County (PARENT EDUCATION PROGRAMS – approved list.doc). These courses typically last only two to three hours and should not be viewed as a solution but as an opportunity, in-person, to gather specific information on further resources that are available to help your family. In addition to these mandatory courses, many private agencies offer a much more in-depth resource to directly educate you and assist your children. One of those agencies is Kids In The Middle. With locations in both St. Louis and St. Charles, Kids in The Middle offers a wide range of counseling and educational services for children as well as parents to help cope with the breakup of the marital family. Services are provided on a sliding financial scale based upon ability to pay. According to their policy, no one is denied services based upon ability to pay. Programs such as this as well as individual counseling through an experienced children’s counselor that may be offered through a private insurance plan or your company’s employee assistance plan are also valuable resources to help you and your child and should be strongly considered. In addition, if you have an experienced family law attorney representing you, that attorney can often assist his client and his client’s children in accessing individual resources in their particular community. It is incumbent upon clients to have an open discussion with their attorney regarding any issues their children are facing before your custody plan is finalized. With this information, your attorney can often help shape a custody plan which allows families continued access to helpful resources after the conclusion of your divorce or custody modification. If you are faced with divorce St. Charles County, St. Louis County, Warren County or Lincoln County you should contact our office today for a free consultation about your particular situation.